Massimo De Angelis is Professor of Political Economy and Development at the University of East London, and founder and editor of the web journal The Commoner. He is author of The Beginning of History (London, Pluto press, 2007) and working on a monograph on the critical theory of the commons. Danijela Dolenec works at the University of Zagreb, teaching comparative politics and social science methodology. She received her master’s from the LSE (2005), and her doctorate in political science from the ETH Zürich (2012). Her primary interest in post-communist democratisation evolved during her time at Harvard University as a Fulbright scholar (2007/2008). Her previous publications include topics such as the commodification of European systems of higher education and the Europeanization of post-communist party systems while most recently she has co-authored We Need to Change, a study on sustainable development in Croatia (Domazet, Dolenec and Ančić, 2012). Trevor Evans has a PhD in economics from the University of London. He worked for many years at the Regional Centre for Economic and Social Research (CRIES) in Managua, Nicaragua, and has been a professor of economics at the Berlin School of Economics since 2006. He is a member of the coordinating committee of the European Economists for an Alternative Economic Policy in Europe. Pippa Gallop is research coordinator for CEE Bankwatch Network www.bankwatch.org, an NGO which seeks to prevent the harmful environmental and social impacts of European multilateral development finance, specifically the European Bank for Reconstruction and Development, the European Investment Bank and the European Structural and Cohesion Funds. As part of this work she has examined Public-Private Partnerships in the report Never Mind the Balance Sheet (2008) and more recently on the website Overpriced and Underwritten: The hidden costs of public-private partnerships. As well as working in Bankwatch, Pippa has been an environmental activist for more than fifteen years and is currently active in Zelena akcija and Parkticipacija. Ursula Huws is Professor of Labour and Globalisation at the University of Hertfordshire and the director of Analytica Social and Economic Research Ltd in the UK. She is also the editor of Work Organisation, Labour and Globalisation. Ursula Huws has been carrying out pioneering research on the economic and social impacts of technological change, the telemediated relocation of employment and the changing international division of labour for 25 years. The author of The Making of a Cybertariat: Real Work in a Virtual World (New York, Monthly Review Press, 2003,) she has directed a large number of international research projects in in Europe, Asia, North America, Latin America and Australia and carried out consultancy for government bodies in Europe, Asia, North America and Australia. An internationally recognised expert on offshore outsourcing, she has authored many research reports for international and national government bodies as well as writing and editing books and articles aimed at more popular audiences. Her work has appeared in translation in Chinese, Swedish, German, French, Italian, Greek, Hungarian, Danish, Portuguese, Turkish, Spanish, Hindi, Japanese and Korean. She is currently Action Chair of COST Action IS 1202 on the Dynamics of Virtual Work. Mario Iveković is the president of Novi sindikat (New Trade Union). Novi sindikat was founded in 2002, signaling already in its name a different approach to unionizing and methods of union work. Since its beginning it has been recognized as a trade union of the future, setting itself apart from the cliché of other trade unions in Croatia. In only couple of years it has become notable for its open and non-compromising struggle for worker rights, taking as its principle: everything starts from the worker. Starting the fact that it is a worker organization fighting for fundamental labor, social and unionizing rights, for the rule of law (conventions, laws, collective bargaining agreements), for greater sanctions (better supervision and better judicial system) for those who don’t respect them, and a more just distribution of the burden of crisis, Novi sindikat is employing all available legal means to fight for the rights of its members. Novi sindikat is affiliated to the Croatian Trade Union Association. It is structured in industries. With some 4000 members it is present in 16 different sectors. It is present in companies through its union reps, who are the contact point between the union and its members. The protection of workers’ rights are in the care of a four person professional expert team (president, chancellor and two legal advisors), and the members can use the services of the Central Office of Croatian Association of Trade Unions and a law office. In its trade union work Novi sindikat has no political color or hue, focusing exclusively on advocating workers’ interest: respect of labor legislation and collective bargaining agreements, while relentlessly fighting the employers for fair pay for every kind of work, regular benefits, right to leave of absence, decent working conditions, work safety, maternity protections, gender equality, etc. Dymitri Kleiner is a software developer working on projects that investigate the political economy of the internet, and the ideal of workers’ self-organization of production as a form of class struggle. Born in the USSR, Dmytri grew up in Toronto and now lives in Berlin. He is a founder of the Telekommunisten Collective, which provides internet and telephone services, as well as undertakes artistic projects that explore the way communications technologies have social relations embedded within them, such as deadSwap (2009) and Thimbl (2010). He’s the author of The Telekommunist Manifesto (PDF), a book published by the Institute of Network Cultures of Amsterdam. Ugo Mattei is the Alfred and Hanna Fromm Professor of International and Comparative Law at the University of California, Hastings College of the Law, in San Francisco, California and a full Professor of Civil Law in the University of Turin, Italy. He is the Academic Coordinator of the International University College of Turin, Italy, a radically new school where issues of law and finance in global capitalism are critically approached. He is also currently a columnist for the Italian newspaper Il Manifesto. Recently he has oriented the focus of his research on the study of commons. He is currently leading a project on commons with Saki Bailey (International University College of Turin) and Filippo Valguarnera (Örebro University) in the context of the Common Core of European Private Law. He co-authored with Laura Nader Plunder. When the Rule of Law is Illegal (Blackwell, 2008). Yann Moulier Boutang is co-director of the Quarterly French Review MULTITUDES, professor at the University of Technology of Campiegne, adjoint director of Laboratoire Costech, and part of l’École Supérieure des Arts et du Design de Saint-Étienne. Key books: Althusser une biographie (Grasset, 1992), De l’esclavage au salariat (PUF, 1998), Le capitalisme cognitif (Éditions Amsterdam, 2007), L’abeille et l’économiste (Carnets Nord, 2010). Martin Pigeon, born French, is a researcher and campaigner with the Brussels-based group Corporate Europe Observatory, whose remit is to expose and challenge the privileged access and political influence enjoyed by corporations in the EU. He primarily works on the water sector as well as on agriculture and research policies, and is also involved in other local social and environmental justice movements in Brussels. David Price is a senior research fellow in the Centre for Public Health and Primary Care at Barts and The London Medical School, Queen Mary, University of London. He has been involved in research into public private partnerships for several years and has also published widely on the impact of international economic law on public health policy and on health care reform in the NHS. He has been a fellow at the Centre for International Public Health Policy, University of Edinburgh, and the Public Health Policy Unit, University College London. Teodor Celakoski is member of Pravo na grad. Pravo na grad (Right to the City Zagreb) is an organisation engaged in advocacy and public campaigning against the economic overexploitation of spatial resources, corruption of public governance for the benefit of private interests, and the disenfranchisement of citizens in spatial planning processes in the city of Zagreb and Croatia. The initiative was established as a collaboration between civil society organizations working in the fields of culture and youth, and later formalised as NGO. 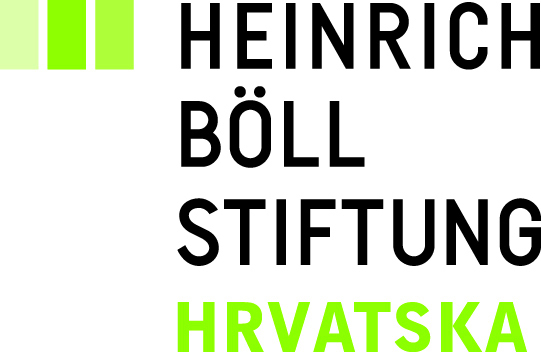 All activities of Right to the City are implemented in cooperation with Green Action / Friends of the Earth Croatia, one of the most relevant Croatian environmental NGOs. Over the last five years Right to the City has undertaken a number of protest actions raising the public awareness about failing and corrupt urban development and planning policies of public authorities in the city of Zagreb, mobilizing the public against a very visible project of a shopping mall planned in the very centre of Zagreb’s pedestrian zone (Flower Square and Varsavska Street), as well as other cases of mismanagement in spatial policy. Ever since the end of the campaing in Varšavska, Right to the City has been working on helping similar citizen, activist and worker initiatives such as Kamensko, Inicijativa for Marjan, and Srđ is ours! Emil Jurcan and Iva Marčetić are members of Pulska grupa. Pulska grupa is an informal group active since 2005 in Pula, working on recognition, re-appropriation and defense of common urban spaces. They approach the city as a space of conflicts in which they see a significant potential for a more just living environment. Members of the Group are also active in the Citizen Initiative for Muzil, Architects Association of Istria and the Co-operative Praksa. Dušica Radojčić, Zelena Istra / Green Istria (Croatia) – Born in 1963, News reporter matriculation, Degree in Political Sciences (Zagreb University 1885). After 12 year spent abroad, Italy mostly and Spain, she returns to Pula, Croatia, where up to 2002 she works as a marketing manager of the Fabrika design and visual communication studio. Since 2002 President of the of the non-governmental environmental organization Green Istria, where she is employed as manager of the Strengthening public participation in environmental decision-making program. She has successfully transformed a small organization based on the work of volunteers to the organization which employs professionals and is among the most important environmental organizations in Croatia. Her principal field of interest is impact assessment and public participation in environmental decison-making. She is a member of the International Association for Impact Assessment – IAIA, co-president of the Public Participation Section from 2007 to 2008. She has successfully applied for and implemented many projects related to public participation, impact assessment, waste management and nature protection, and assisted many citizens’ initiatives. Davor Rakić. I was born November 11, 1962 in Đakovo, I have been living and working in Kutina since 1972. I’ve graduated from high school in Kutina with a diploma in mathematics and information science. I’ve been working in the artificial fertilizer manufacturer Petrokemija since 1987 in various placements within the IT department. Currently, I’m working as a developer-instructor and developing import-export and logistics applications. I’m a member of the Trade Union of Workers in Energy, Chemistry and Non-Metal Industries (EKN, www.ekn.hr) since day one. EKN is an industry union within Union of Autonomous Trade Unions of Croatia (SSSH, www.sssh.hr). I’ve been active in union work since 1998, currently holding the position of chief union representative of EKN chapter in Petrokemija. It is the largest chapter of the EKN trade union (around 1700 members). I was also active in the events that unfolded in Petrokemija since 1998. Pablo de Soto is an architect and artist. For 10 years he was founder and core member of hackitectura.net. Editor of two books: Fadaiat, Freedom of movement, freedom of knowledge, and Situation Room, designing a prototype of a citizen Situation Room. He was co-author of the Critical Cartography of the geopolitical territory of the Straits of Gibraltar and has teached cartography workshops in four continents, including Cartografiando Gaza and Mapping the commons of Athens and Istanbul. He is PhD candidate at Federal University of Rio de Janeiro, researching on “Biopower and biopolitcs in the time of Fukushima“. Felix Stalder is a lecturer on the theory of media society at the School of Art and Design Zurich, Department for Media Arts. For many years he has been exploring the dynamics of the interface between culture, technology, politics, et cetera and has been a longtime moderator of the Nettime mailing list as well as a board member of the Vienna Institute for New Culture Technologies, where he most recently co-organized the conference Deep Search. Recent publications: Open Cultures and the Nature of Networks (Frankfurt: Revolver, 2005), Manuel Castells and the Theory of the Network Society (Polity Press, 2006), Cultures and Ethics of Sharing (Innsrbruck University Press, 2012) and Vergessene Zukunft (transcript Verlag, 2012) His publications can be accessed at http://felix.openflows.org. STEALTH.unlimited is a practice based between Rotterdam and Belgrade, set up in 2000 by the architects Ana Džokić and Marc Neelen. They connect urban research, spatial interventions, curation and cultural activism – to mobilise shared creation of urban space and culture. Following a number of their projects and researches across Europe, this year they are running the program “In Search of Common Ground” at the architecture department of the Royal Institute of Art in Stockholm. Asbjørn Wahl is adviser at the Norwegian Union of Municipal and General Employees and director of the broad Campaign for the Welfare State in Norway. He serves as Vice President of the Road Transport Workers’ Section of the International Transport Workers’ Federation (ITF) and Chair of the ITF Working Group on Climate Change. He is also a member of the coordinating committee of Forum Social Europe, which is an informal network for progressive trade unionists in Europe and active in the Labour and Globalisation network. Trained in history and sociology, he has published a number of articles on politics, social and labour questions in magazines and books both in Norway and internationally. His most recent publication is The Rise and Fall of the Welfare State (Pluto Press, London, November 2011). Mislav Žitko (1982.) graduated from the Faculty of Humanities and Social Sciences in Zagreb, co-founder of Center for Labor Studies. Active member of Higher Education Trade Union – Academic Solidarity. He has previously published papers in political economy and education policy.